This book describes the history of the Heart Lake and Mount Jo area. Since its discovery in the early 1800s, the area has always been heralded as a camper's and tramper's paradise. Henry Van Hoevenberg and his love, Josephine Schofield, called it the finest square mile in which to get closest to nature. 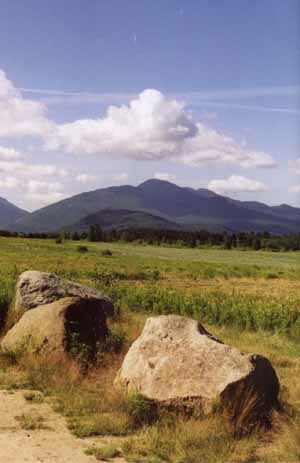 Today, it is owned by the Adirondack Mountain Club and is home to their Adirondak Loj. "Anyone who has ever visited Heart Lake and Adirondak Loj will enjoy this romp through a history of the area with its fascinating array of characters...The author is a fine writer, with a crisp, narrative style and colorful descriptions. Her extensive research is clearly documented in unobtrusive footnotes, revealing broad scholarship...This is a delightful book, attractively laid out and illustrated with black and white photos, maps, line drawings and some original etchings by Ryland Loos. The author refers to Mr. Van's 'gift for weaving and telling a tale which made him a boon companion.' She displays much the same talent." ...The Finest Square Mile is primarily the story of one incredible, driven and love-struck little man, Henry Van Hoevenberg. "This book will be a real treat...Sandra Weber provides an in-depth look at the history of this fascinating place and the man most associated with it, Henry Van Hoevenberg...The modern-day history of Adirondak Loj and the Adirondack Mountain Club, which took over its operation in 1957, will be of interest to aficionados of the High Peaks region and of the Adirondacks in general. I found the geological and botanical descriptions of the last chapter of greatest interest. But The Finest Square Mile is primarily the story of one incredible, driven and love-struck little man, Henry Van Hoevenberg." 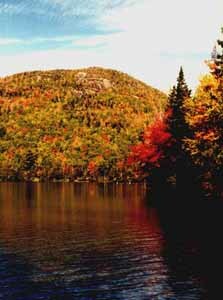 "Perhaps no other six-hundred-plus acres has resonated with so many Adirondack aficionados as the woods and waters around Adirondak Loj. The Finest Square Mile: Mount Jo and Heart Lake by Sandra Weber...offers glimpses of Heart Lake's key figures, from innkeeper Henry Van Hoevenberg to Lake Placid Club leader Melvil Dewey, flanked by stories of the Adirondack Mountain Club, Olympic bobsledding and other activities."